The recent announcement of the Magento Adobe acquisition caused an immediate stock market reaction: shares of Shopify plunged as much as 5 percent right after the report. “A few people laughed, a few people cried, most people were silent.” Of course, the Magento Adobe acquisition won’t affect the world like the work of Robert Oppenheimer, but it can dramatically change the existing rules that form the current e-commerce dimension. A new Adobe product has been released recently – the Adobe Commerce Cloud. It is the latest Magento 2 edition that offers the features of the Commerce platform from the cloud. You can leverage a flexible solution oriented at both B2B and B2C businesses. For further information, follow this link: Adobe Commerce Cloud: Overview & Features. Let’s say a few more words about the last one. Commerce capabilities of the world’s most robust and flexible e-commerce platform. We all know that Magento lets you create engaging shopping experiences on any channel. And the global ecosystem of merchants, partners, and developers is not a surprise, but if you weren’t familiar with the platform before the acquisition, this should impress you. For further information, follow this link: Magento Commerce. Order management functionality of Magento is also worth your attention. Being able to deliver a truly connected shopping experience, the platform enables you to buy everywhere, fulfillment anywhere. The revolutionary way to manage inventory and orders that span across geographies and brands is now available as a part of the Adobe Experience Cloud. You can find more facts here: Order Management. Business Intelligence – the in-depth insights will help you find new growth opportunities. Analyze product, customer, and sales data and spread the information across your company in the easiest manner with Magento Business Intelligence. More information is available here: Business Intelligence. Advanced shipping capabilities of Magento remove a headache from fulfillment. Connect with multiple global shipping carriers easily, improving shopping cart conversion. Automate the whole shipping process with the minimum effort. To learn more about the Magento shipping, click this link: Shipping. Social features also offer promising opportunities. After the Adobe Magento acquisition, you can easily launch a storefront on Facebook. 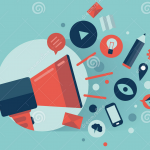 That leads to new capabilities regarding the way you create, target, and optimize social ads to drive new sales. You can discover more information here: Magento Social. Still, there are no official plans or statements regarding how the Magento platform will be treated after the acquisition. Therefore, we can only speculate on the possible course analyzing thoughts of various community members. Let’s take a look at three probable consequences of the acquisition. 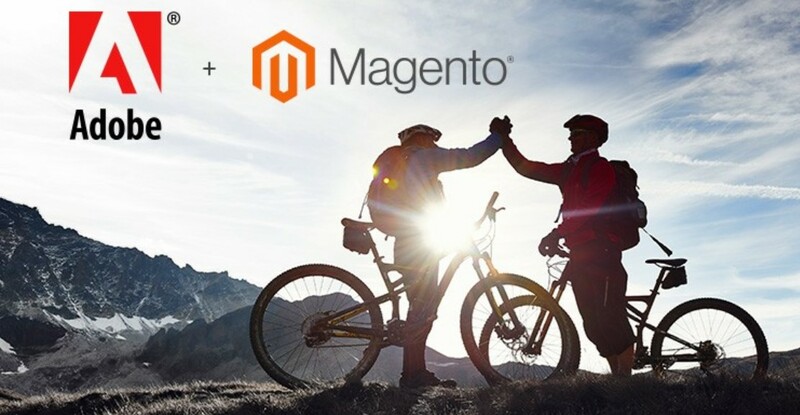 Mark Lavelle, the Magento CEO, shared the news about the Magento Adobe acquisition in the official Magento blog. He is excited about this new step in the development of the e-commerce platform and believes that the Magento will soon provide a much better user, admin, and developer experience. The content is a vital aspect of every e-commerce store, and since Adobe is a leader in the sphere of the digital experience delivery, Magento merchants and their clients will definitely benefit from the acquisition. What about developers and the whole ecosystem of apps? The situation is unclear. transact anywhere across the entire e-commerce experience of a store visitor. Both B2C and B2B merchants will get the opportunity to enhance their websites in the directions mentioned above. Looks promising, but what exactly does Mark mean? It is still uncertain, but we are here to explore the best case scenario so that everyone will get better experiences across the whole platform. It has been already entirely revamped with the appearance of Magento 2, and new changes will improve it even more. Unfortunately, it is still impossible to run a complete migration from Magento 1.x to 2.x. According to the best case scenario based on some craziest thoughts posted by community enthusiasts, the Magento Adobe acquisition will lead to the appearance of Magento 3. Since most of the e-commerce websites still use 1.x, the company will create its revamped version that includes all benefits of 2.x, provides stunning opportunities related to Adobe’s leadership in the sphere of visual content, and allows migrating from 1.x seamlessly. What a questionable assumption? We don’t think that there is a high probability of seeing that, but for most 1.x merchants this is the best possible vector so that we couldn’t ignore it. What is the core power of Magento? Right! It’s a vast community that exists due to the open source nature of the platform and free access to it. Adobe will still provide merchants, developers, and tech enthusiasts with the ability to use the mighty tool out of charge (do you believe that the leader of the monetization will do that? ), and the community will remain the same generating new ideas regarding how to make Magento better. Adobe will regularly collect these thoughts and implement the best ones. In the ideal world, you get a new platform version available in several editions one of which is free. All tools are available in the cloud, and the community still plays a significant role in the Magento development. Merchants, admins, shoppers, and developers receive the latest technologies combined with extra flexibility and scalability. That is the best case scenario. What is the opposite forecast? The licensing schemes for Adobe’s core industry-standard image and publishing apps don’t promise anything good for Magento in general and its Open Source edition in particular. As we’ve mentioned above, a large segment of the Magento ecosystem is based on support for open source. In the current situation, you can choose the Open Source edition and enhance it with third-party apps getting all features available in the Enterprise branch. This platform’s characteristic may be considered as a potential threat to Adobe’s business models. Consequently, the company may be interested in ending the open source branch and focusing on Enterprise only. It means that Magento will be available for large market players only. At the same time, the Open Source edition may be monetized (don’t forget that we are talking about the leader of the monetization) via third-party extensions and the Magento marketplace. If the volume of modules purchased by users of the Open Source platform is enough, there is no need to close it. One more reason not to reject the Open Source branch (and it is still the main one) is the community around the ecosystem. According to the Adobe’s official announcement regarding the Magento acquisition, there is no reason to worry. With more than 300,000 developers, 800 technology partners, and 350 system integration partners now, Magento will never provide the same conditions if the open source platform is no longer available. It means that most of these people and companies will be much less interested in participating in the project. Until the open source branch exists, the ecosystem can bring the power of its community to the Adobe Cloud Platform. And don’t forget to check a more dramatic scenario described in this article: Goodbye, Magento. Most probably, the situation will be closer to the best case scenario. Jamie Huskisson, CEO/Founder of JH Magento Enterprise Solution Partner, posted a tweet sharing his vision of the Magento Adobe Acquisition. He thinks that considerable investment is significant for everybody and we cannot deny that. 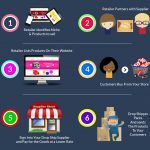 Karen Baker, CEO of ShipperHQ & WebShopApps, shares the same idea. Adobe is interested in adding a fully monetized and fast solution to the company’s portfolio and has enough money to do that. Since Magento is the leading e-commerce platform, it would be an unforgettable error to lose this status and the corresponding market position. Thus, we will soon see the acceleration of the platform’s growth. — Jamie Huskisson (@jhuskisson) 21 травня 2018 р. Besides, Jamie Huskisson emphasizes a plethora of complimentary technology at Adobe. It means that Magento merchants will soon get lots of new features at no additional cost. Unlikely, the open source branch will include all the surprises, but it also may be enhanced with some useful tools. He also thinks that license sales, partnerships, and the overall Magento scale will be vastly accelerated. We must admit that he is right. It seems that the Magento Adobe acquisition will positively affect all these aspects. Due to the reasons mentioned above, Open Source won’t die, and it is hard to imagine the opposite situation. At the same time, the new conditions will make the Magento Association even better than it was planned before. As for the negative aspects, Karen Baker emphasizes that some of the great leaders of Magento are not still there. But the new specialists will join the team bringing some fresh ideas. Tell you what is gutting about this acquisition – its that some of the great leaders of @magento are not still there to reap the reward. E.g. — Karen Baker (@wsakaren) 21 травня 2018 р. You cannot deny that Adobe is not eBay, and the difference between two companies leads to multiple consequences. Everyone is afraid of Adobe’s cloud nature, but don’t forget about the Magento Commerce Cloud and future plans regarding this edition. Even without the acquisition, it would become one of the primary options. The fact that Magento was going the SaaS route is obvious and it will provide a huge impact on the ecosystem in future. And while eBay was likely interested in all merchants around the Magento ecosystem, Adobe didn’t purchase the platform because of small and medium market players. The company is interested in the biggest B2B and B2C giants of the ecosystem. “This is not a bad thing but it will have repercussions on the ecosystem” – states Allan. #Adobe to acquire #Magneto for $1.6 B. Sorry. — Jake La Cassette (@JakeLaCassette) 21 травня 2018 р.
to disappear or move to other markets. Soon, we will see how precise this forecast is, but let’s return to the motivation behind Adobe to purchase Magento. Dries Buytaert thinks that another important reason behind the acquisition is the strong will to cover all aspects of digital experience: “Large platform companies like Salesforce, Oracle, SAP, and Adobe are trying to own the digital customer experience market from top to bottom.” And Adobe didn’t have any tools aimed at digital commerce. Luckily, the company now owns the number one e-commerce platform. And since it is a leader of satisfactory content which is not represented in the portfolio of the aforementioned giants, “Adobe … will compel Salesforce, SAP and Oracle to act more aggressively” – thinks Dries. And we cannot avoid another quotation from Buytaert’s article: “While Magento has historically thrived in the SMB and mid-market, the company recently started to make inroads into the enterprise. Adobe will bring a lot of operational maturity“. Our favorite e-commerce platform has already included lots of enterprise-level and B2B features. Many more are offered by the community (just check this digest Magento 2 B2B extension) and will be added in the nearest future. Thus, the acquisition will positively affect the current e-commerce experience. At the same time, Dries says “there is an incredible amount of innovation taking place in the marketing technology landscape“, consequently, it is impossible to combine the most competitive product suite across all categories for a single vendor. It is only possible to run multiple integration processes to stay competitive. Therefore, we’ve introduced the Improved Import & Export Magento 2 extension long before the acquisition. It already helps to turn a Magento website into a hub for all integrations with all the necessary controls. “Most customers want an open platform that allows for open innovation and unlimited integrations. It’s why Drupal and Acquia are winning,” – says Dries. He thinks that Adobe should look for a headless commerce platform instead of Magento, but wait for a second: what’s this – PWA & Headless Magento 2? 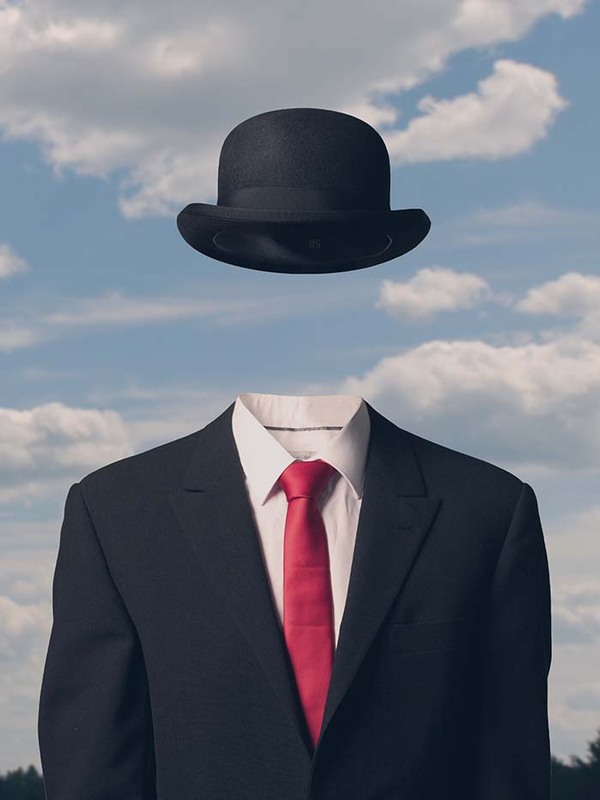 In the article, we describe an innovative approach that leads to Magento that is headless. 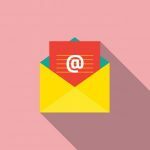 There are even several websites that already streamline this approach. Thus, the opportunity of being headless is represented in the ecosystem and the community participates in its development. And while Magento’s open source community is one of the most intriguing parts of the acquisition, it is still unclear, how the community will be treated. Dries hopes that the number of Magento contributors will rise. He compares the platform with Drupal and emphasizes that the quantity of contributors to Magento is much smaller. But there is a much broader community of developers who don’t contribute to Magento but make the ecosystem around the platform better. Just check this list of Magento 2 extensions – we’ve compared all of them but it is only the tip of the iceberg. While Allan thinks that Magento will be oriented towards big market players changing its attitude to small companies and Dries afraid that Adobe will make Magento cloud-only radically changing the current pricing model, limiting integrations with external systems, or dropping the open source ethos alienating the Magento community, we have our own thoughts regarding the acquisition and its impact on the ecosystem. Even if Adobe decides to move everything to the enterprise cloud, you don’t need to panic. We’ve been writing about the amazing Magento community for a long period of time and the ecosystem that combines both professionals and enthusiasts won’t die. Here at Firebear, we believe that the open source e-commerce platform can become a self-acting mechanism maintained by the community. Many agencies don’t want to disappear or be acquired. Many more freelancers don’t want to change the area of focus. Together, we will maintain the open source platform even in the worst case scenario: both merchants and developers are interested in the better tomorrow. — Tom Karwatka (@tomik99) 22 травня 2018 р.
Adobe Experience Cloud, formerly known as Adobe Marketing Cloud, is a collection of integrated tools maintained by Adobe Systems. The suite of products combines apps from the following areas: analytics, advertising, social, media optimization, targeting, content management, and web experience. Tools are aimed primarily at the advertising industry but with the Magento acquisition, new areas will soon be added to the list. Note that Amazon Web Services is used to host the products. Like Adobe Creative Cloud and other company’s services, the Adobe Marketing Cloud requires a valid subscription that lets you download the entire collection of apps and use it directly on your computer. And there is one more interesting fact. On September 15, 2009, Adobe acquired Omniture – an online marketing and web analytics business. The deal of $1.8 billion was completed on October 23, 2009. The acquisition gave birth to the Adobe Marketing Cloud and became the basis of the Adobe Experience Cloud as we know it today. Adobe withdrew the Omniture brand but still utilizes its products which are tightly integrated into the Adobe Marketing Cloud. Does the same destiny await Magento?